Three-day training-seminars held in Poti vocational school “Pazisi” by the FWE on professional orientation courses were attended by thirty IDPs and local beneficiaries. Young participants are from the new settlement of Poti (Maltakva settlement), small Poti and Chaladidi settlement. They made right choices on demanded professions with the help of the trainings. 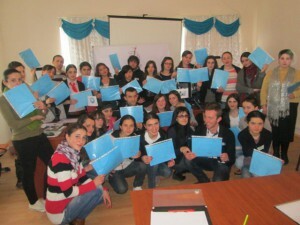 On 17-19 March, 2014 a three-day training-seminar was held in Kutaisi public college “Iberia” with two groups organized by the FWE. Thirty beneficiaries attended the trainings. Brief review on the existing professions at the college “Iberia” was made. Participants showed great interest to the professional orientation Methodological Basics that helps them to take tests successfully. The second group of 15 beneficiaries is preparing for the registeration at the training. They are IDPs and locals residing in the city of Poti. The group is also joined by a small group of young people living below the poverty line in Patara Poti. 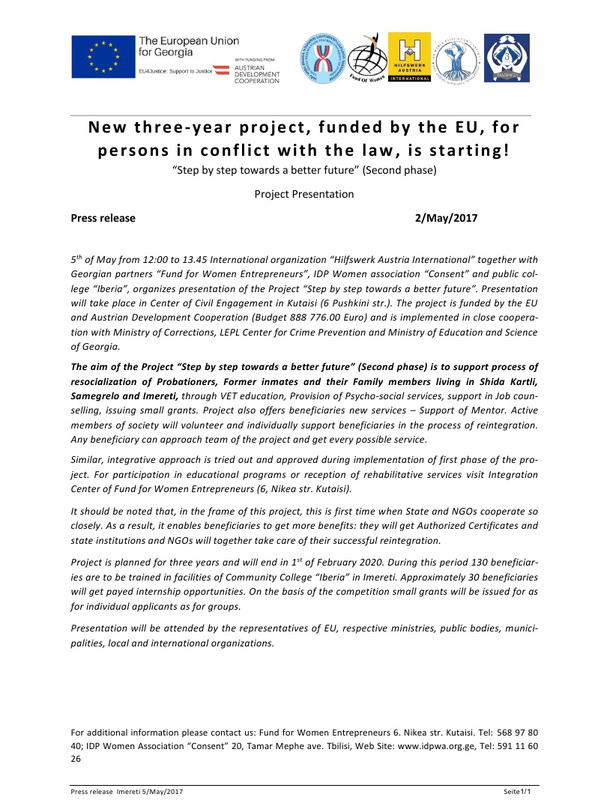 Although many in the group are not below the poverty line and those who are not – will attend the training of Fund of Women Entrepreneurs to be given the opportunity to receive additional 30% to the state funding (700 GEL). Before the registration, the beneficiaries visited the professional college “Phazisi”, in order to get the information about the professions, where they met the director, Ms. Nino Bakuradze. 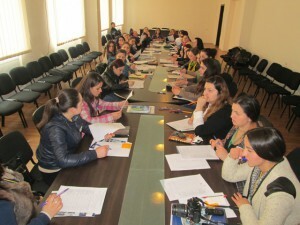 On April 02-10, 2012 with the initiative of Fund of Women Entrepreneurs, a group of 15 women got registered in Zhvania informational-administrative center. Ten participants appeared under the poverty line, and among them four are preparing for tests in general skills to obtain 100% funding, One beneficiary’s tuition fee on off-budget specialty, in the amount of 600 GEL, will be financed by the FWE. The second group is formed of professional orientation training which has decided to continue studies at the College “Iberia” in Kutaisi. The meeting was held with the beneficiaries of May 4, 2012. The director of the college “Iberia” familiarized them with the professions that are taught in the college and wished success in further studies. After the meeting, the beneficiaries together with the project assistant and the director Ms. Tinatin Losaberidze went to the college for a closer acquaintance with the courses. On May 1, 2012 the school for middle-aged women started for women beneficiaries. The course will be rendered for twelve motivated, middle-aged women (in English, computer skills, office management), both IDPs and locals. 4 academic and 2 astrological hours are anticipated four days a week: Tuesday, Wednesday, Thursday and Friday. The training course is designed for 5 months.